Virtual Solutions - Electronic Communication Services, Inc.
Mitel was the first in the industry to deliver best-in-class, virtualized unified communications and collaboration (UCC) applications that can reside alongside other enterprise business applications in mainstream data center environments. We have continued that industry leadership as the first to bring unified communications to the virtual desktop. A recently commissioned study, conducted by Forrester Consulting, found customers that have deployed Mitel's virtualization solutions experience a three year risk-adjusted ROI of 84 percent, with a payback period of fewer than 8 months. 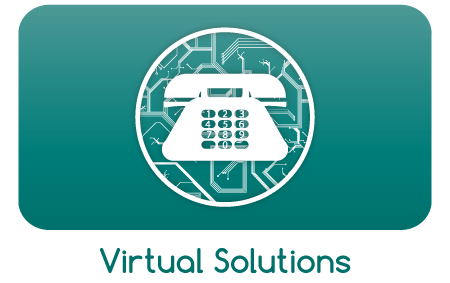 Mitel virtualization solutions offer all the functionality and features of Mitel’s award-winning unified communications solutions delivered as a complete package of virtual appliances that can be deployed alongside other virtual applications in your VMware-enabled data centers. This delivers an innovative way to manage and converge real-time applications cost-effectively, so you can leverage both voice and data communications to maximum advantage.